Reinwardtia indica is a shrub or under shrub upto one meter tall. Branches are spreading, rounded and angular. Leaves are alternate, simple, elliptic - obovate or lanceolate at apex, rounded or heart shaped. 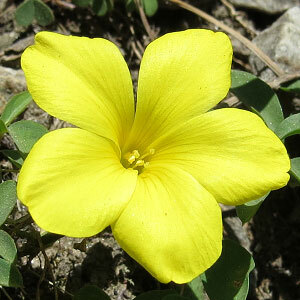 Flowers are bright yellow. Sepals are 5.